Enterococcus species of bacterial are the most common cause of hospital acquired urinary tract infections. People with an abnormal urinary tract or long-term indwelling catheters often get these UTIs. Antibiotics are the first line of defense against enterococcal UTIs. However, their improper use in recent times has led to the emergence of antibiotic-resistant enterococci. In a study published in the December 2007 issue of "Renal and Urology News," Dr. Al Nemr states that significant numbers of men with enterococcal UTIs are either overtreated or undertreated. Ampicillin is the drug of choice to treat most enterococcal UTIs. It inhibits the transpeptidase enzyme present in enterococci and creates holes in the bacterial cell wall leading to cell death. Some strains of enterococci are resistant to ampicillin because they produce an enzyme called beta-lactamase which can inactivate the antibiotic. Ampicillin plus sublactam can be used to treat such cases. The sublactam component of the antibiotic prevents beta-lactamase from binding to ampicillin. Both ampicillin and ampicillin plus sublactam belong to the penicillin family of drugs, to which many patients are allergic. Such patients are treated using vancomycin. Vancomycin acts by inhibiting cell wall synthesis and replication of enterococci. Vancomycin-resistant enterococci, or VRE, grabbed the attention of the health care community when they caused frequent infections in immunocompromised patients. Information collected by the Centers for Disease Control and Prevention during 2006 and 2007 showed that about 30 percent of the hospital-acquired enterococcal UTIs were caused by VRE. Several strains of VRE are also resistant to penicillin, cephalosporins, clindamycin, and aminoglycosides. Laboratory tests like antimicrobial assays are required to determine the antibiotic susceptibility of such strains. Nitrofurantoin is often used to treat urinary tract infections caused by VRE. The exact mechanism of nitrofurantoin is not known but it is suspected that the drug works by damaging bacterial genetic material or DNA. Daptomycin is a lipopeptide antibiotic that is effective against VRE. The mode of action of daptomycin is not fully understood, but appears to work through the disruption of bacterial cell membrane. Fever is a common symptom of enterococcal UTIs and can be treated using antipyretics--drugs that fight fever--such as acetaminophen and ibuprofen. These drugs bring down the body temperature and are often given orally or intravenously to patients with enterococcal urinary tract infections. 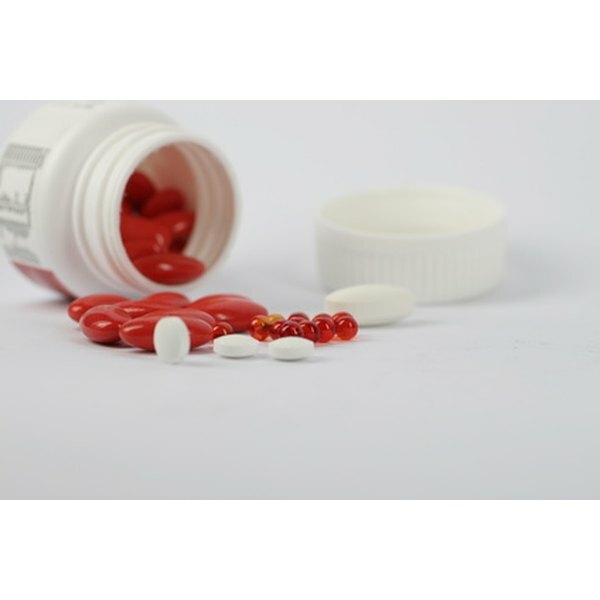 Renal failure and renal stones are two of the most common complications of urinary tract infections. Increased amounts of fluids can help maintain renal function and prevent the formation of renal stones. The fluids can be given orally or intravenously, depending on the condition of the patient. Fluids can also help to flush out the bacteria through urine.